When I was a kid, I found an old hardback on the floor of the family bathroom. It had a faded green clothbound cover and dinged corners. The paper inside had begun to yellow, but only slightly. I absconded with the book—”finders, keepers” and all—and began reading. I was immediately drawn into a story of two boys around my age building a rocket ship out of scrap wood and brick-a-brack in response to a newspaper ad. The writer of the ad turns out to be their odd neighbor, Mr. Bass, whose peculiarity is explained when he reveals he is not human, but a mushroom person from the planet Basilicum X, and he needs help getting home. 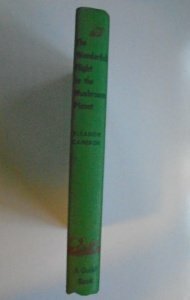 The Wonderful Flight to the Mushroom Planet by Eleanor Cameron was first published in 1954, and it’s a truly odd and lovely book. The boys’ parents are totally fine with their journey into outerspace, and even help them along, believing that the whole thing is just a game. The boys bring their pet chicken along on the trip to outerspace for no good reason, other than that Mr. Bass insists it would be good to have a mascot for the trip. And lots of science that was accurate for the time is scattered throughout, which fascinated a nerd like me. The story is a product of its time in more than just the science. The newspaper ad calls only on boys to build rockets, and the book pretty much ignores the female gender except in the form of mothers. Slang and social mores of the 1950s abound. But at 10 years old—or was it 11? or 12?—I found it to be a romping good read. And then I forgot the title and wasn’t able to find it again until years later, when I found this review on author Rachel Manija’s blog. 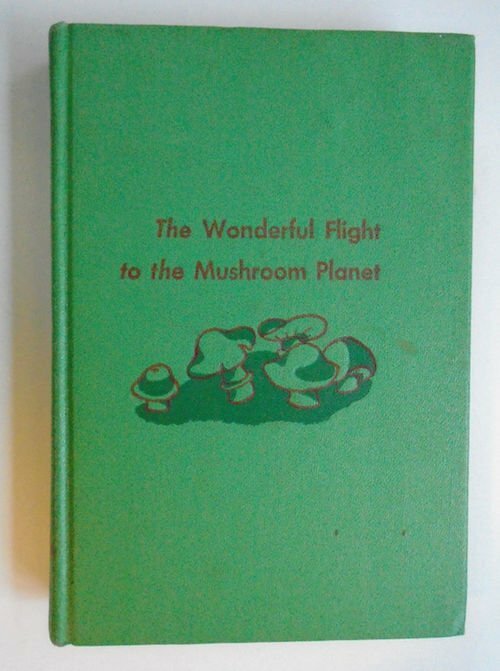 So when I was looking for books that would interest Harriet, the science-loving protagonist of my 1950s coming-of-age romance novella Tomboy, The Wonderful Flight to the Mushroom Planet naturally came to mind. I just had to show the spine, too. It’s a style that’s gone out of fashion but fills me with all sorts of childhood nostalgia. Mandy Pinkerton, on the other hand, was prettier than ever, and I found myself gravitating toward her more often. Puberty treated her well. Though she’d shot up in height, she didn’t have the awkward, lanky look that now plagued Jackie, and her skin was impeccably clear. We didn’t share many interests. I could spend all day reading The Wonderful Flight to the Mushroom Planet, detective comics, and science fiction magazines like Amazing Stories, while I never saw her crack open a book that wasn’t for school. But I pretended to her and myself to like the things she liked—tennis, hair treatments, shopping, and women’s magazines. Sounds like an auspicious start to a romance, doesn’t it? Did you come across any accidental reading finds during your childhood that you still think fondly of today? What did you make of stories set in earlier decades? Did the difference between earlier times and your own confuse or intrigue you? 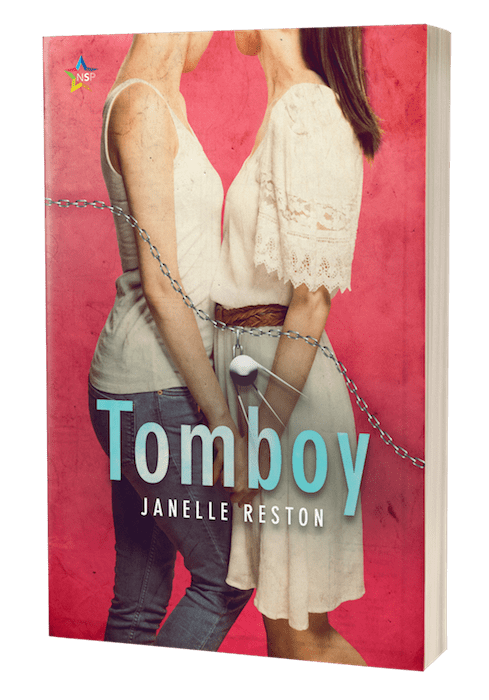 And don’t forget, you can find more posts on the background of Tomboy in my Tomboy history tag. Find more Rainbow Snippets on the Rainbow Snippets Facebook page or by looking for #rainbowsnippets and #rainbowsnippet on twitter. It’s a great way to discover new authors. Ooh, these sound like good books for me to look up! What a great post! I never heard of that book. Interesting! I’m reminded of how I learned about the ‘birds and the bees’ finding my father’s… um… magazine stash. ~blush~ At least I got to understood my under-aged, confusing desires before they got around to thoughts of educating me. Ha! Great snippet, too. Thank you for sharing. And Happy Writing! I was in Jnr. High. and stumbled across “Alfred Hitchcck’s Ghostly Gallery,” and that was my intro to Robert Arthur who became kind of a role model for me as a writer. Years later I bought the book and it holds up! The Hitchcocky intro (probably by ghost-editor Arthur) is still fun, as are the stories by H.G. Wells, Lord Dunsanay, Henry Kuttner and Walter Brooks (the man who created Mr. Ed!) I may be confusing the credit list with the other Hitchcock YA anthologies, but it is all still readable! So sorry I missed this comment. That sounds like a great book. I’ll have to see if I can find it! Some books reviewed on this blog were given to me by publishers or authors. I give my honest opinion whether the book was given, bought, or borrowed. Also, I may receive a commission when you use a retailer link to make a purchase, at no extra cost to you. Money I earn this way helps pay for the site and my book habit.